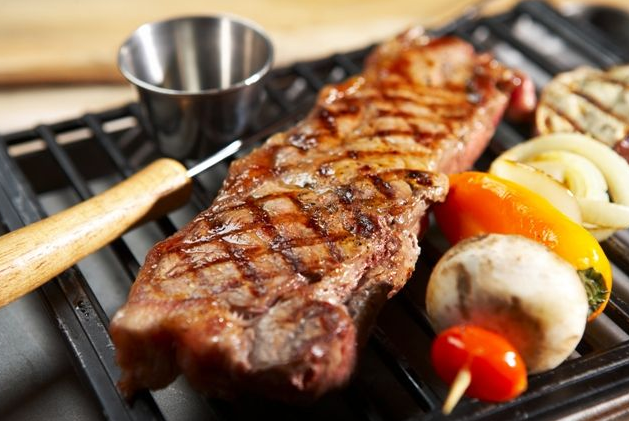 It’s that time of year again…grilling season! Well, we’re past Easter which means a couple things for you and your family. Ladies, your favorite white jeans are officially back in season and men — it’s prime time for grilling! It’s probably no surprise to you that grilling your meats is always a healthy option, but if you’re working to get in swimsuit-shape, macaroni and cheese is probably not the most calorie conscious side dish for your chicken breast. Try cutting up some of your favorite organic veggies and allowing them to absorb a low sodium marinade before wrapping them in a foil packet and popping them on the top rack of your grill. Squash, zucchini and asparagus do a great job of absorbing the signature smoky taste you only get from the grill and go well with any meat! If you’re looking for something a bit more hearty, try thick slices of potato and onion seasoned and grilled with butter in a foil packet. Since the grill is already hot you might as well try your luck at a delicious grilled dessert! Slice up some peaches, add a little honey and a dash of cinnamon before– you guessed it – putting them in a foil packet and grilling them into a guiltless peach cobbler without the crust! Check out this article by Fitness Magazine for more ideas for healthy grilled meals or hop on our Facebook Page to exchange recipes with our loyal Passanante’s Home Food Service customers! This entry was posted in Recipes and tagged Food Delivery Service, Grilling, Grilling Recipes, Hormone-Free Meat, Organic Veggies, Passanante's Home Food Service by Passanante's Home Food Service. Bookmark the permalink.